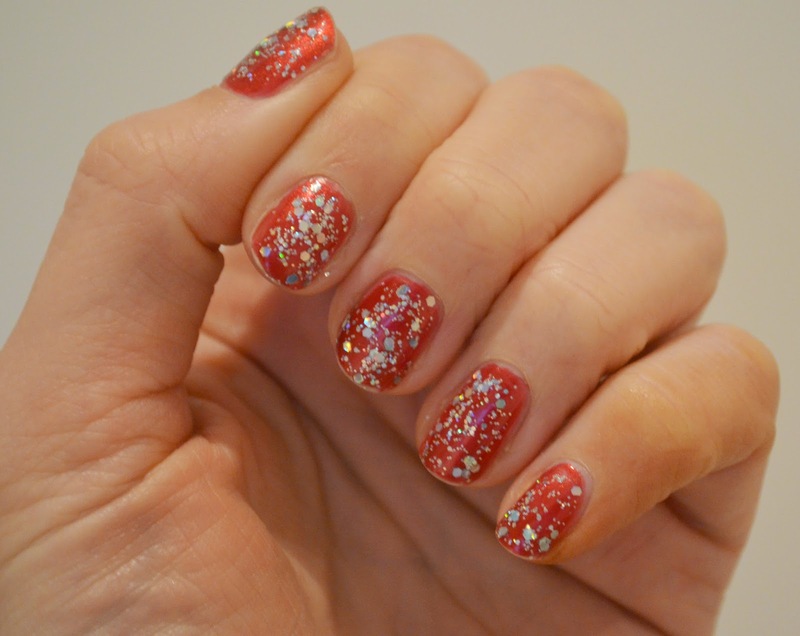 It's not just my house thats getting festive, I've been giving my nails a little shrimp makeover too with the help of Seventeen's Glitter Nail Effect polishes (£3.99 each from Boots). 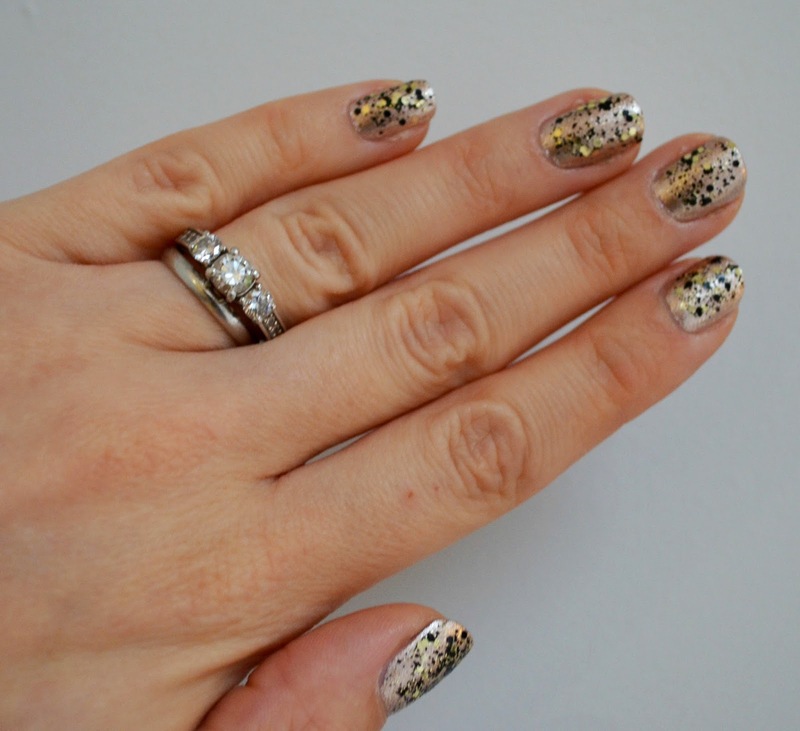 For the first look I popped the Black and Gold glitter polish which contains a mixture of large and tiny glitter flecks over Golden Sands polish from No 7 (£7 Boots) as I do think that a base colour helps to set the glitter off more effectively than a clear base coat. Then, feeling super festive yesterday, I added the White and Silver Glitter polish over No 7's Hot Lava (£6 Boots) which I wore to the beautiful Emily & Dan's wedding on Saturday. Sorry about the photos of this polish - I didn't get round to taking a snap until it was dark and I'd chipped the tips washing up, but you can get the idea....! 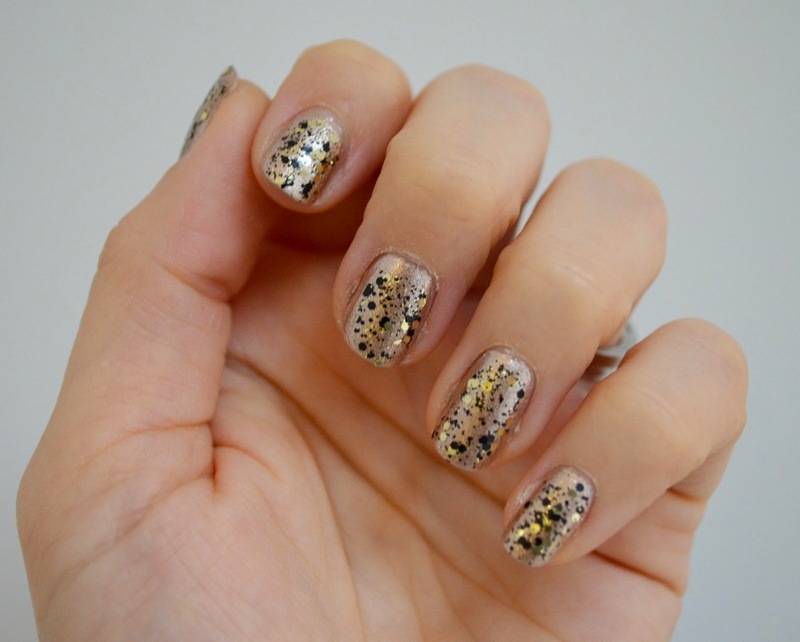 Don't try and take these polishes off in a rush, as just like most glitter nail vanishes they do take a bit longer to remove than its regular counterparts. So which is your favourite? 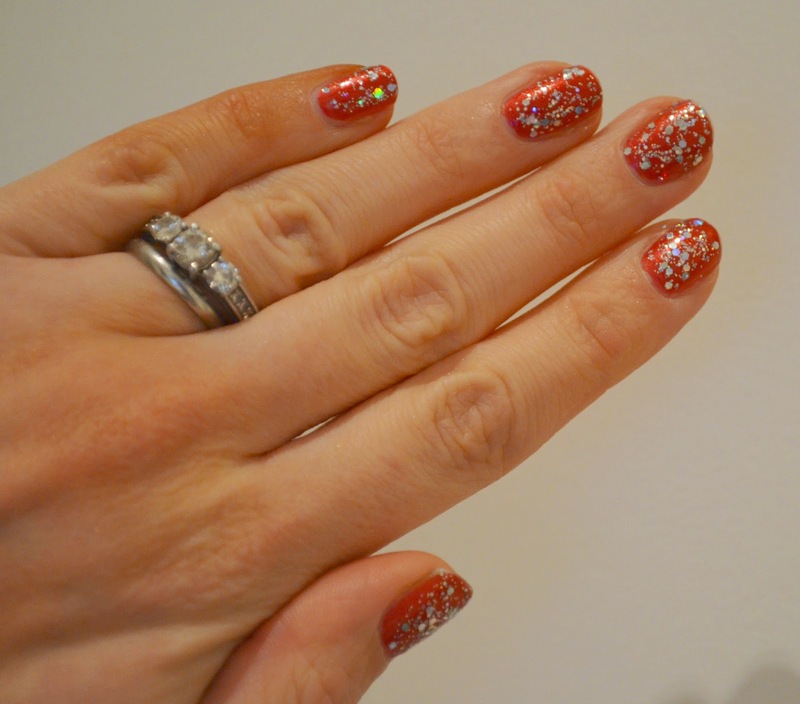 What festive nails are you opting for this advent season?